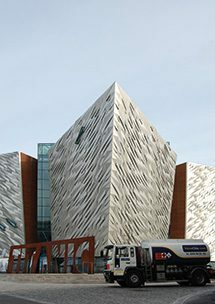 The FTA’s Transport Manager seminar takes place at Titanic Belfast next week. The keynote speaker at the event on Wednesday 2nd March will be Michelle McIlveen MLA, the minister for the Department of Regional Development (DRD). Michelle will discuss the department’s future plans and priorities for roads investment and sustainable transport and how both will affect the commercial transport industry. The event will also feature a mock public inquiry to provide an insight into the workings of the Transport Regulation Unit (TRU). The inquiry will be led by TRU’s Donna Knowles and will feature representatives from the Driver and Vehicle Agency (DVA), a solicitor and the former president of the Society of Engineers. Mike Beare, DVA’s director of transformation, will talk about modernisation plans for the DVA such as new vehicle test centres, with particular emphasis on the new online driver licence system for NI due to go live later this year.